Extend your power while conserving space with the black, 10' 3-Outlet Flat Right-Angle Power Extension Cord. The plug features a flat, right-angle design for convenient placement behind a piece of furniture without blocking additional outlets; the cord also sports a flat design. 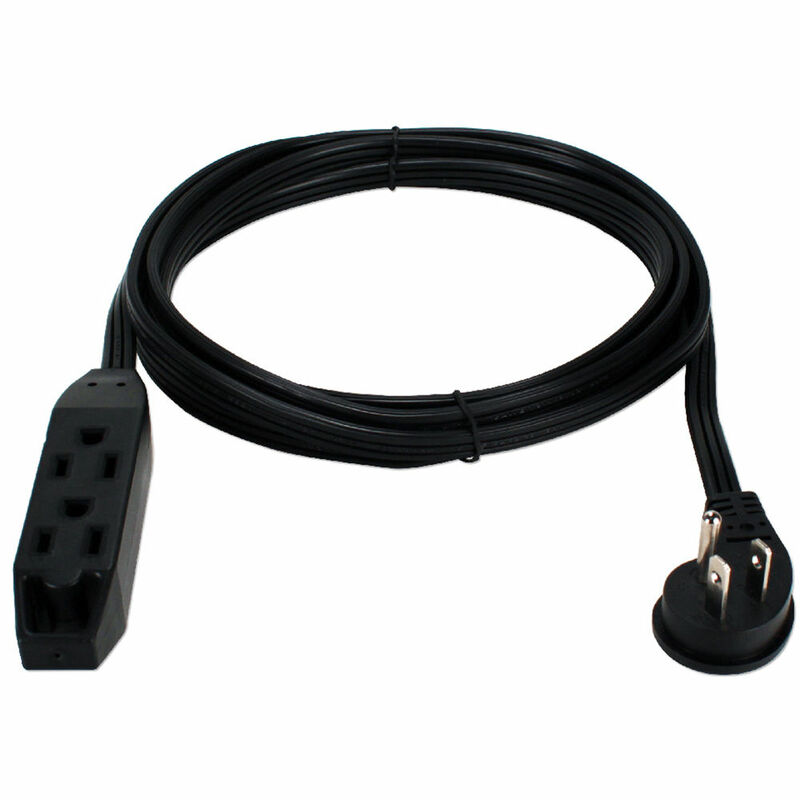 It is ETL-rated and supports devices up to 125V, 1625W in power with a maximum current draw of 13A. The built-in accessory loop enables you to hang it where you like. Box Dimensions (LxWxH) 8.85 x 2.8 x 1.4"